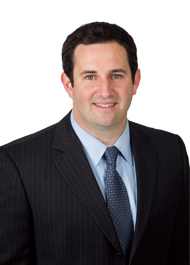 Jason's state and federal commercial litigation practice is diverse and accomplished. His practice includes representation of various complex areas of contract and business law, employers enforcing non-compete agreements, civil theft, as well as enforcement of foreign and domestic judgments. Jason also represents established commercial property owners and works with asset managers assisting in real estate transaction and litigation matters, including leasing, applying for variances and special exceptions before various planning and zoning boards. In addition, Jason is well versed in all areas of real estate closings, both issuing and reviewing title commitments and loan documents, preparing closing documents, and resolving complex sales with trusts, corporate entities and short sales. Most recently, Jason successfully garnished 100% of a $1,000,000.00 foreign judgment, with interest. Prior to joining the Firm in January 2009, Jason was an associate at Tarter, Krinsky and Drogin, LLP in New York City, where he focused on commercial litigation and served as general counsel to a real estate trust with substantial commercial holdings in mid-town Manhattan. In 2008, Mr. Evans was published in the New York Law Journal where he co-authored "Defining Contractual Best Efforts." Before attending Nova Southeastern Law School, Jason worked as a tax accountant for Arthur Andersen and NewsCorp in New York City.